Did you know pregnancy actually alters a woman’s brain, changing the size and structure of areas involved in emotional attachment to their young? 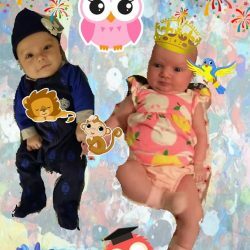 A recent Nature Neuroscience study found that motherly nurturing skills – like perceiving the feelings and perspectives of others – are enhanced in pregnancy and continue for at least two years after giving birth. Wouldn’t it be awesome if this extra helping of grace and forbearance lasted throughout those turbulent teen years? But hey, we’ll be grateful for any crumbs we get and do the best we can. Even if it sometimes feels as if it’s not enough. Like when we make awful parenting mistakes. When we drop those do-it-all juggling balls. When we’re positive our kids will turn out to be serial killers. I’ll never forget the day my teenage daughter informed me that she’d probably be in therapy for years due to my mothering. Ouch. Listen sister-mom, we don’t have to wallow in shame over our mothering mistakes. Every single one of us makes ‘em. Some hide them better than others, but we all fail at times. And it’s okay. Really, it is. Papa God created us as imperfect, stumbling, what-was-I-thinking humans, knowing we’d be raising offspring just as flawed as we are. The good news is that our heavenly Father loves us to pieces anyway. And wants us to look to Him as the only example of a perfect parent. So guess what? Ten years after my daughter’s doomful pronouncement of my mothering deficiencies, she and her husband bought the house next door to us. Go figure. They now intentionally include me in every aspect of raising their three children. I rejoice that my maternal mistakes have somehow been smoothed over. Redemption is sweet! And despite your misgivings, your redemption will be too. No matter how badly you think you’re screwing up today. It’s called God’s grace. His love for you is immeasurably bigger than your biggest blunders. He will bless your mess. “If I keep my eyes on GOD, I won’t trip over my own feet” (Psalm 25:15 MSG). *This post is excerpted from my new book, Too Blessed to be Stressed for Moms (available for preorder right now at Amazon and hits bookstore shelves Sept 1!). Printed with permission from Barbour Publishing. So what do you think of my new book so far, dear BBFF (Blessed Blog Friend Forever)? I’ll be posting passages from Too Blessed to be Stressed for Moms throughout Aug and Sept. If you know a stressed-out mom who might be blessed by this brief excerpt, will you please forward this post to her? Many thanks for your support and help! And don’t forget to enter my Blessed Mom Giveaway going on right now – you can win a sweet prize package, including a Blessed Mom tee, a hot-off-the-press Too Blessed to be Stressed 2019 Planner, a delish choc-tastic surprise, and a cool tote. 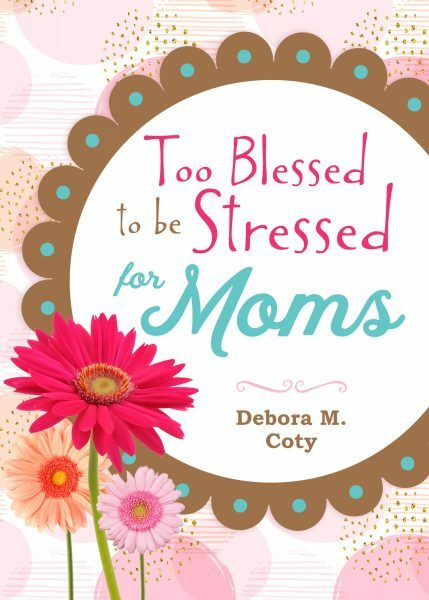 If you’re into GoodReads, be sure to look for the awesome Too Blessed to be Stressed for Moms e-book giveaway going on now too! There will be multiple copies given away, so claim one as yours. One last announcement: I’m trying to make my personal Facebook account more … well, personal. I have reached my 5000 friend limit on my Debora Coty Facebook page and I’m going to need to start paring down inactive names. But I don’t want to lose touch with ANY of my precious BFFs! So if you and I are FB friends simply because you want to keep abreast of what’s happening with my Too Blessed to be Stressed books (as opposed to truly personal friends), would you please “Friend” me on my author page, where I promise you won’t miss a thing! Just type in Debora M. Coty, author (please note the addition of the middle initial and the word “author” which don’t appear in my personal account). As a thank-you, I’m going to randomly choose 5 new friends on my author page to receive copies of my newest books. Thanks so much for helping me follow my own Too Blessed to be Stressed advice and simplify!